A short reflection on how the industry I am passionate about changed my home and me. Travel and Tourism have this incredible power of reshaping places, influence ideas, bring innovation to all life areas and the most fascinating is that it has power to change people. 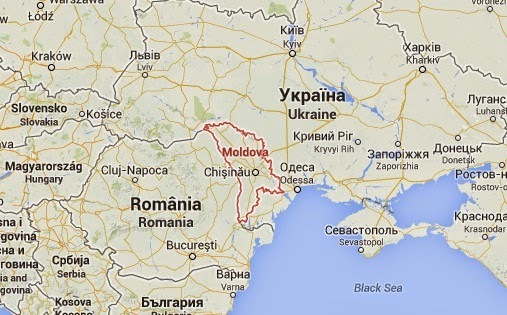 The case I want to bring to your attention is of my home, Moldova. Republic of Moldova, located in Eastern Europe is a small in area country but rich in traditions, history, hard-working people and landscapes. This was basically all I could mention in the first place for several years now. Tourism has changed the way I see things, but also it changed the things I was looking at. Speaking in terms of tourism, Moldova has never been an important inbound or outbound country. History from one side promoted the biggest part of inbound tourism, and the visa regulations restricted to the fullest the outbound part. I am happy to say that one way or another Moldovans found a way to travel and this is where the history and the change actually start. The great and untouchable but visible power that traveling has is the change it makes in people. I know what happened because the same change happened to me 4 years ago. We escaped as birds from a small cage where we had sufficient things to survive but not the essential thing to live: freedom. Traveling is all about freedom; Freedom to move, to choose, to see, to say, to meet and so many more things that it is impossible to mention it all in one sentence. About the community development. We are at its first stage, but the most important one. People. Through traveling we are developing people, we are developing good, kind, correct and fair people. I can see now myself, my friends and my community open-minded, thinking out of the box all the time, perceiving things with optimism and with big aims that are no longer just dreams. In Moldova no one is dreaming anymore. In Moldova we are aiming at the future and we are living with the present. Our present is still poor, but our culture enriched even more. There aren´t many things changed yet, but as I said, freedom - which is traveling, changes dreams into aims, and Moldovans surely know how to reach them. By traveling we are changing as people, we are developing our global community and we are acquiring a global culture, a culture I believe in. The question is: how are we going to use it? This picturesque country is located in Eastern Europe. It is small in area but has a variety of historical and natural landscapes. I visited this small region few months ago after my niagara falls trip with my sister. Me and my sister has great interest to see such kinds of states all over the world. We liked its green hills and pastoral countryside, serene lakes and vast fields of sunflowers. I have no experience with dolphin travel partner but i am thinking on it that in future i will do travel with this company i hear many times about this company but never go with them after complete the tour of US and use GBT services indianapolis to new york bus..